At Classic Touch Wood Floors, we want the communities in our service area to be well-informed about the level of professionalism and expertise we conduct ourselves with when installing or repairing a hardwood floor. We understand that despite the fact that we are in heavy labor industry, it does not follow that our staff can behave any way we like. 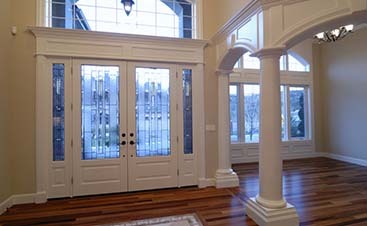 Today’s post is going to highlight just a few of our customer experiences while working with Classic Touch Wood Floors. We believe it is important that you understand what kind of company you will be working with, before you commit to do business with us or another hardwood flooring company. 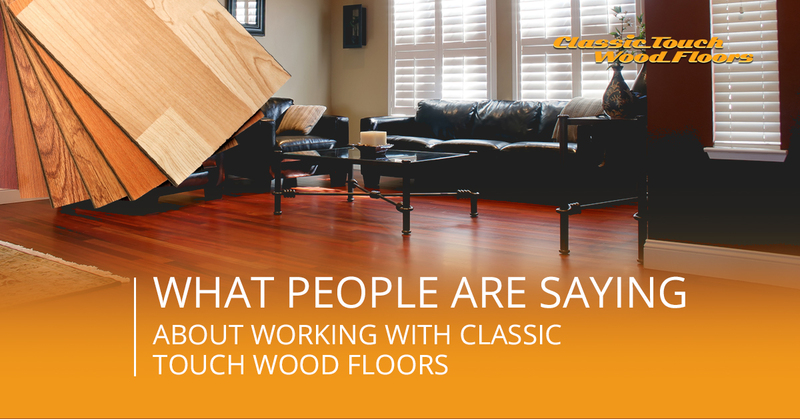 Continue reading if you are interested in getting a more clear picture about what kind of flooring contractors we have here at Classic Touch Wood Floors. “Excellent, Cody responded very quickly, came to our home immediately with a quote, started work immediately, was courteous did the work himself, work was done with perfection .we can’t be more pleased with Classic Touch Wood Floors. Would highly recommend this company” – Anonymous, no star rating system. This is a review that doesn’t have the writer listed, but that doesn’t mean that there is anything wrong with it. On the contrary, this review highlights more than one aspect of Classic Touch that we strive to achieve. So it’s particularly encouraging when we see our customers noticing our hard work. The first thing that you may have noticed is that pretty much every task performed was done with expediency. Whether it was Cody’s first response time, his willingness to come right out to the customer’s home with a quote, or “starting work immediately” upon agreeing on the project, Cody represents Classic Touch’s commitment to be as quick and efficient as possible when it comes to your time. The second thing our mysterious reviewer highlighted is that the sanding work and the refinishing of hardwood floors was done with perfection. We have experienced floor contractors who have been a part of tens if not hundreds of hardwood floor repair and installation projects. That points to the fact that we have flooring professionals like Cody who are friendly, knowledgeable, and experts at our craft. The final point we would like to briefly note is that our former client was impressed with Cody’s level of courtesy. We will speak more on this aspect of our service later, but for now it’s encouraging to see that this customer was pleased with how we operated in their home. Cody also did the work himself, so there is a continuity between the quote and the actual flooring project being completed. That is important to customers so we do our best to maintain that consistency throughout the project. Firstly, thank you Rich for identifying yourself, and secondly thanks for a wonderful review. We are very pleased any time we hear of an overwhelmingly positive experience like Rich has had. Rich worked with Cody on his new hardwood floor. Communication is key in any working relationship, and client to flooring contractor communication is no exception to the rule. Cody, like all of our staff people, makes a point to explain each aspect of the project, updating the client throughout the duration while we are repairing or installing a new floor in your home. Finally, Cody has been said to be meticulous, which is a great word to use for his attention to detail. Being “project driven” and knowledgeable are two great qualities to have. Cody was very friendly when working with Rich, like all of our customers. Our level of courtesy is not just an empty claim without follow through; we have a non-smoking and neighborly staff who understand that they are guests in your home. That is just one of the many ways that we at Classic Touch Wood Floors separate ourselves from other flooring contractor competition. At the end of the day, if you are looking for a high-quality hardwood flooring company that can be trusted to work efficiently and fairly in your home, the choice is simple. Classic Touch Hardwood Floors blends courtesy, affordability, expertise, and beautiful wooden materials that will surely class up any room in your home. 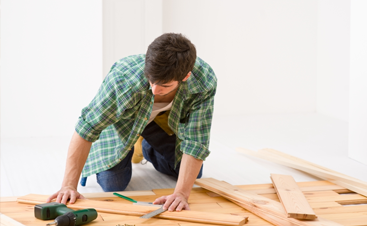 Whether you want to repair your hardwood floor or are considering a new hardwood floor, we can get the job done in a timely manner. 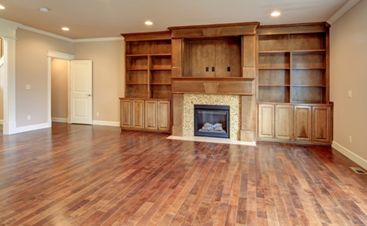 Serving Central Pennsylvania communities that include Harrisburg, Williamsport, Hershey, Danviille, Mount Carmel, Shamokin, Bloomsburg, and Lewisburg, we are the Top Rated Local hardwood flooring company of this area for good reason. Get a free quote today!